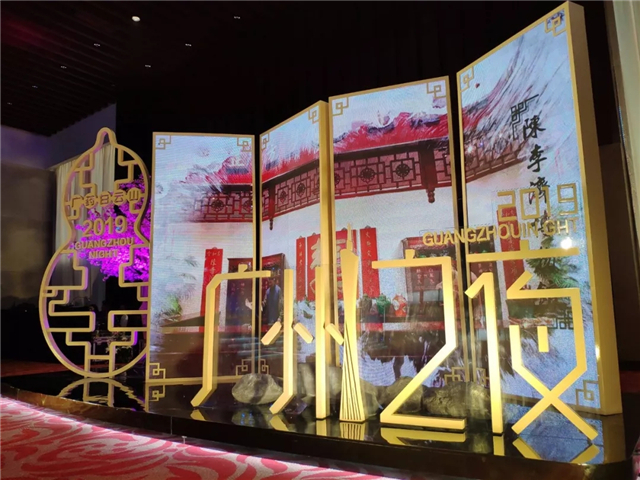 The 2019 Guangzhou Annual Investment Conference (GAIC) was held between April 2nd to 3rd at Guangzhou’s Baiyun International Convention Center. 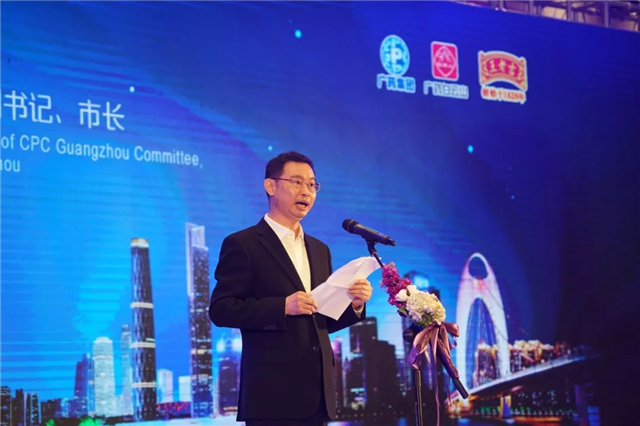 The conference is one of the major international events being hosted by Guangzhou Municipal People’s Government working to boost international cooperation and investment. 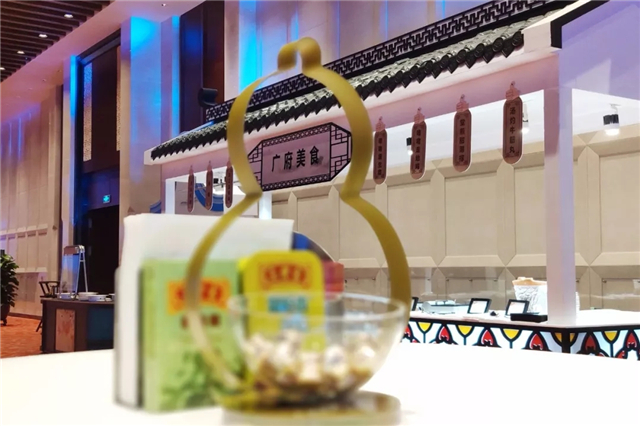 On the evening of April 2nd, the ‘Guangzhou Night’ welcome banquet was held at the convention center, highlighting the ‘GPHL Gourd’ and its new products Wanglaoji roxburgh rose lozenges & juice. 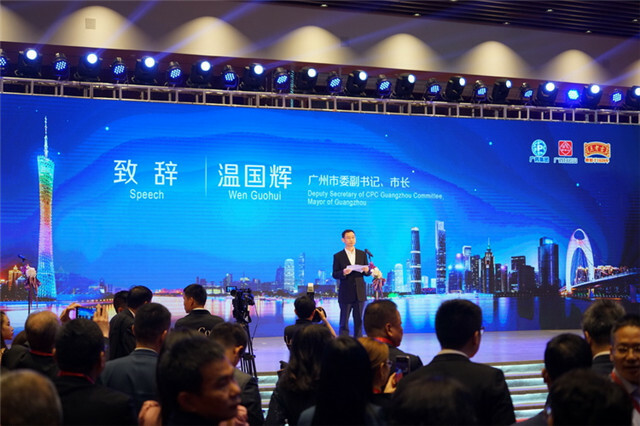 Over 300 guests from home and abroad attended the event, including Guangzhou’s Party Chief Zhang Shuofu and the city’s mayor Wen Guohui who made a presentation introducing the ‘flower city’, Guangzhou to the attendees. 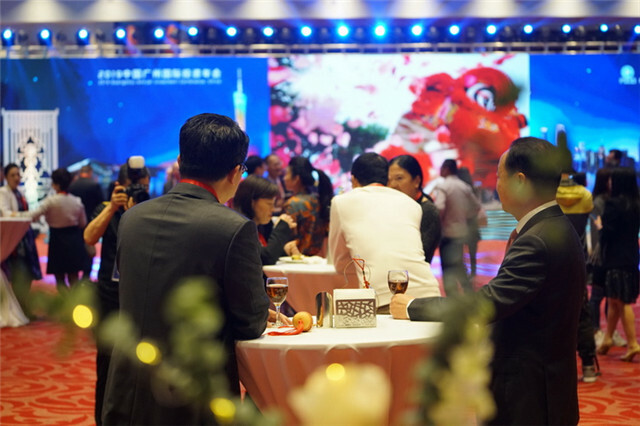 Guests networked and enjoyed local performances, Cantonese cuisine, herbal cuisine and health drinks provided by GPHL at the banquet. 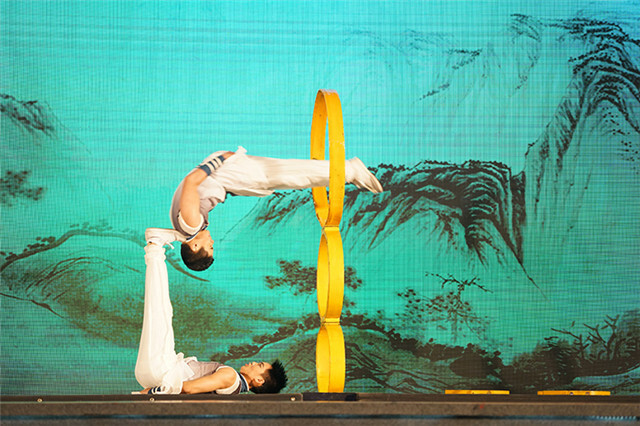 The entrance of the ‘Guangzhou Night’ welcome banquet. 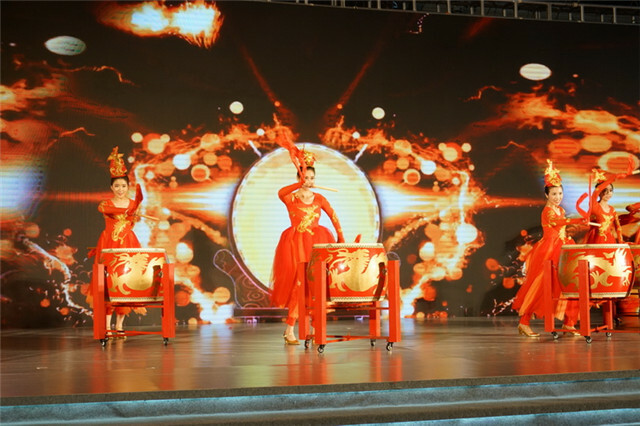 The special design of the ‘GPHL Gourd’ lit up the venue. 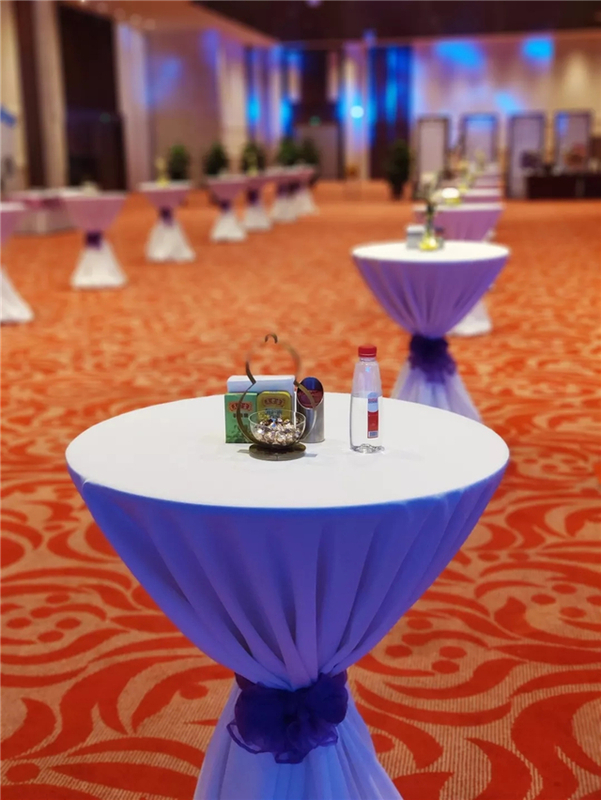 Gourds were placed at the entrance, on dinning tables, bar counters and in GPHL’s exhibition zone. The gourd represents vitality, health, longevity, fertility and happiness. GPHL itself exemplifies this kind of longevity, being an enterprise with a history of over 400 years, and with ten ‘time-honoured’ brands that are over 100 years old. 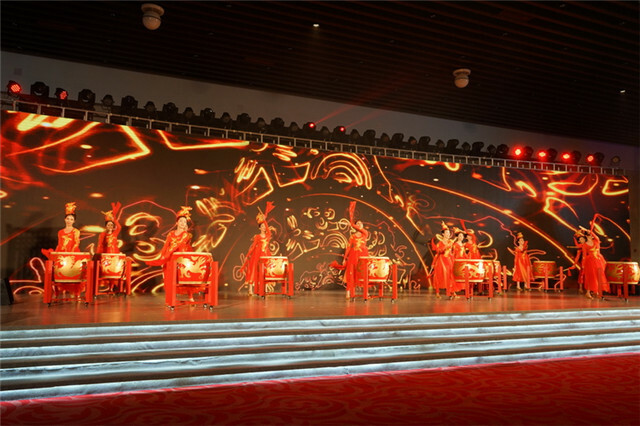 Wanglaoji products are displayed at the banquet. 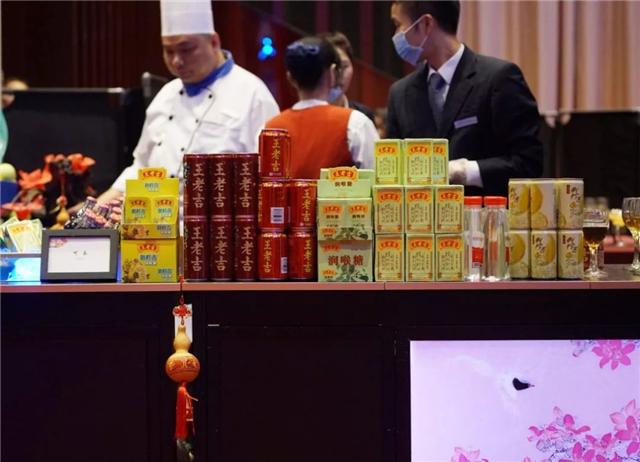 Apart from Wanglaoji herbal tea and Baiyunshan natural mineral water, Wanglaoji roxburgh rose juice was also a featured drink at the banquet. 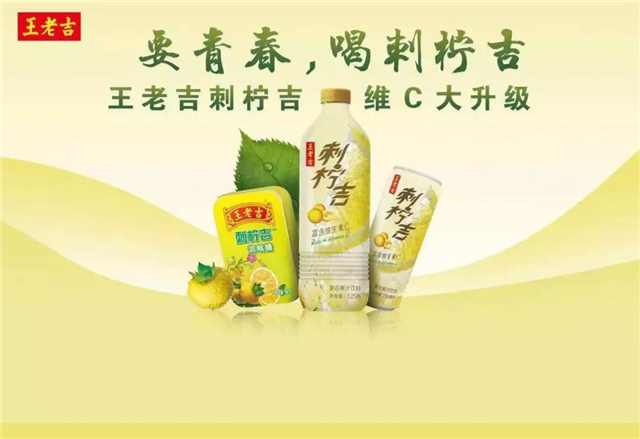 Roxburgh rose lozenges & juice are part of GPHL’s first project in Bijie, Guizhou province, in attempt to help the city get itself out of poverty. The first batch of Wanglaoji roxburgh rose lozenges were produced this February. The whole process only took 98 days, a record for GPHL in terms of providing support to poverty-stricken areas. GPHL also chaired a pharmaceutical and health industries sub-forum on April 3rd during the conference, with a theme of ‘celebrating the 70th anniversary of the People’s Republic of China, jointly developing the Guangdong-Hong Kong-Macao Greater Bay Area’. 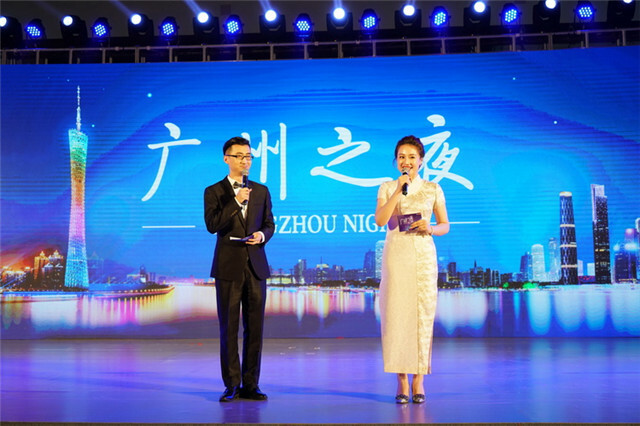 Guests at the 2019 ‘Guangzhou Night’ welcome banquet. 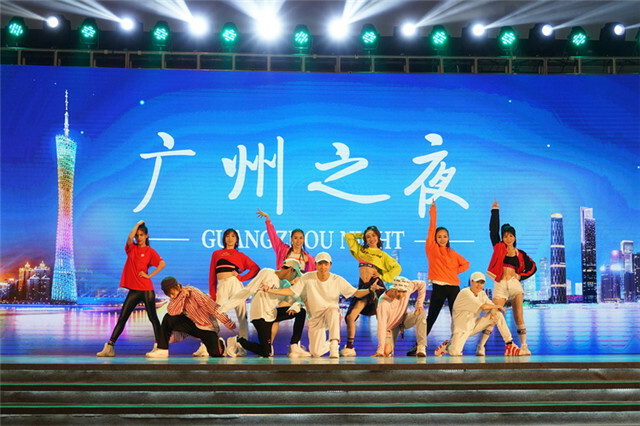 Hosts of the 2019 ‘Guangzhou Night’ welcome banquet. 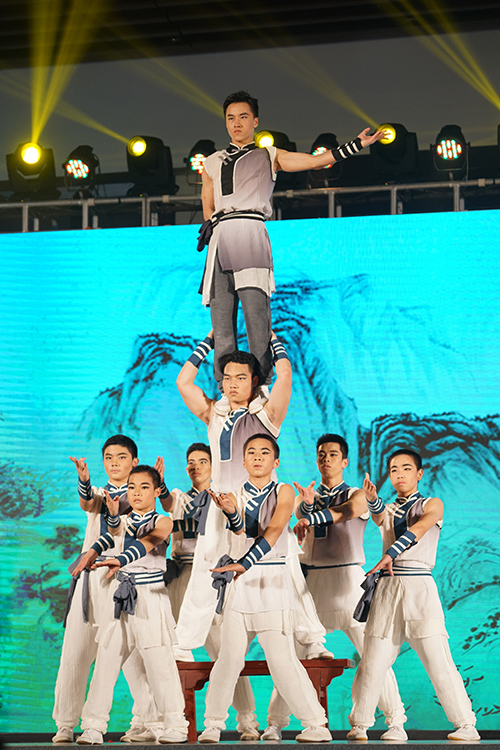 A dancing show ‘Dance for the Brand New Era’ presented by the Art Troupe of Baiyunshan Pharmaceutical General Factory. 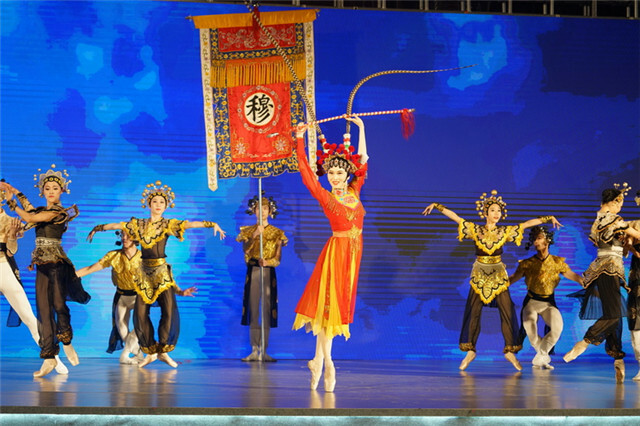 A ballet dance ‘Selections of Ballet Mei Lanfang’ performed by Guangzhou Ballet. 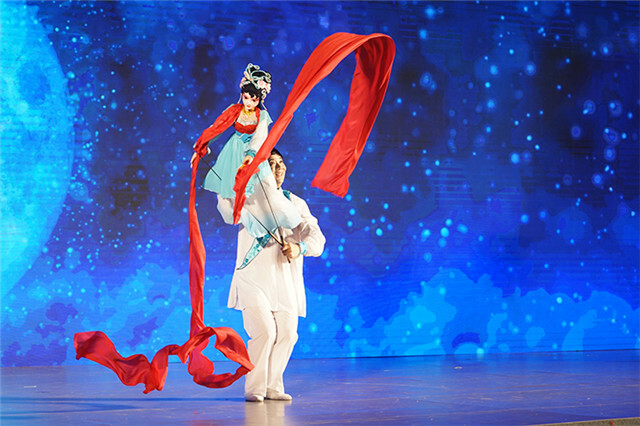 A silk dance ‘The Romance Between Puppet and Human’ performed by Guangdong Province Puppet Art Theater Co., Ltd.
An acrobatics show ‘Inherit - Diving Hoops’ presented by Guangzhou Acrobatic Arts Theater Co., Ltd.
A choreo dance ‘Happy Rhythm’ performed by Wanglaoji Art Club.